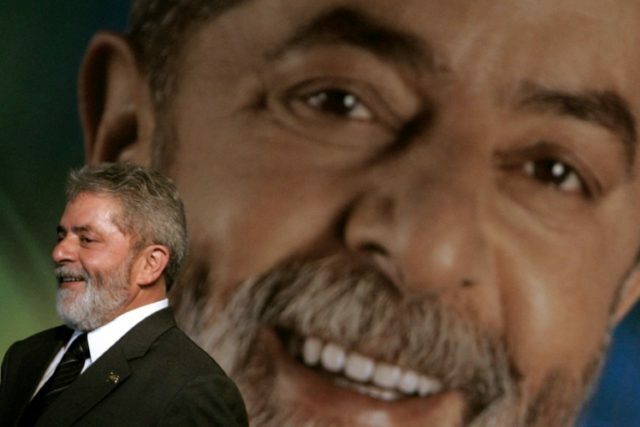 Sao Paulo (AFP) – Ex-president Luiz Inacio Lula da Silva, better known as Lula, is expected to formally bow out of a defiant bid to return to Brazil’s presidency from a jail cell, where he is serving a 12-year prison sentence for corruption. The 72-year-old had been leading polls in Latin America’s largest economy despite his incarceration for corruption, but the country’s top electoral court ruled this month he could not run for president from prison. On Tuesday, he was expected to turn over his Workers Party candidacy to running mate Fernando Haddad, a 55-year-old former mayor of Sao Paulo. Here is a list of key dates in the life of one of the world’s most popular politicians. – October 27, 1945: Lula is born to a poor farming family in Brazil’s northeast. His family moves when he is seven to the state of Sao Paulo to escape hunger. – 1975: He becomes president of the metal workers’ union, having worked in that sector since the age of 14. – 1978-80: At the height of the military dictatorship, Lula leads major strikes in the industrial suburbs and is jailed for a month for his role. – 1980: Lula co-founds the leftist Workers’ Party (PT) and goes on to take part in the creation, in 1983, of the Unified Workers’ Central (CUT), which becomes Brazil’s largest trade union federation. – 1986: He is elected to Congress. – 2003: Lula becomes Brazil’s first leftist president, and the first to originate from the working class, after winning election the previous year. Under his social programs 29 million Brazilians escape poverty, although inequality remains. He is re-elected in 2006 for a term ending in 2010. – 2016: The Supreme Court blocks his appointment as chief of staff to President Dilma Rousseff, his handpicked successor. She is then impeached in August after allegations of financial wrongdoing. – July 2017: Lula is found guilty of receiving a bribe from a Brazilian construction company in return for contracts with state oil giant Petrobras. He is sentenced to nine and a half years behind bars. – January 2018: He loses an appeal and his sentence is increased to 12 years and one month. – April 5, 2018: After losing an appeal to delay the start of his sentence, Lula is ordered to turn himself in within 24 hours. He defies the order but later agrees to comply. – April 7, 2018: Shortly before midnight, Lula becomes an inmate at the federal police headquarters in Curitiba. – August 15, 2018: Lula’s Workers’ Party officially registers his presidential candidacy. – August 31, 2018: A majority of Brazil’s electoral court bars Lula from running in October’s election. – September 11, 2018: Expiration at 7:00 pm (2200 GMT) of an electoral court deadline for the Workers’ Party to name a substitute candidate for Lula.